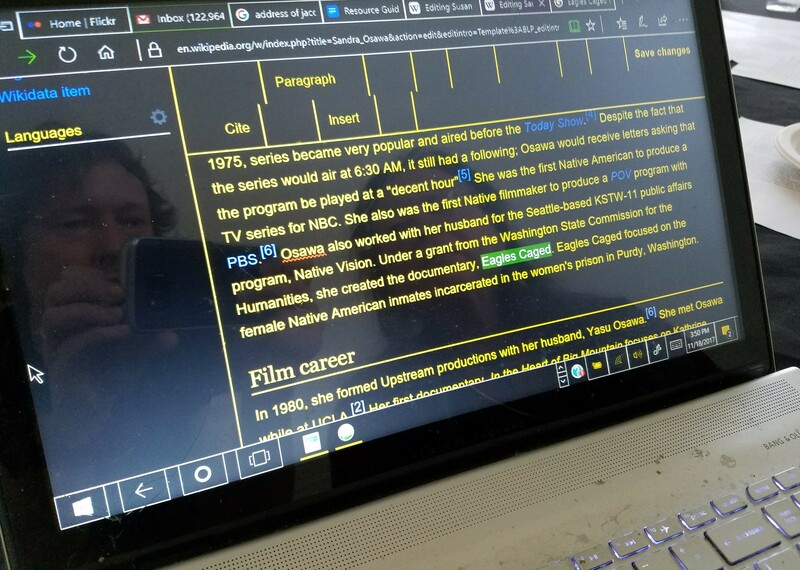 I observed an editor using VE with Edge browser, with high contrast accessibility enabled from the browser, and some of the tab text is not shown (unless clicked, in which case it looks like clicked-link styling, dark blue on black). The editor was searching for text formatting to no avail. The text is visible, but the icons (which are black) aren't. I think this is probably a problem with the interface components that the visual editor uses, rather than with visual editor itself. Similar problem in Internet Explorer 11 and Firefox, but those browsers remove background-image so it affects all high contrast modes. In about:preferences, scroll to Fonts & Colors in Language and Appearance, click [Colors...], under "Override the colors specified by the page with your selections above" switch from [Only with High Contrast themes] to [Always].